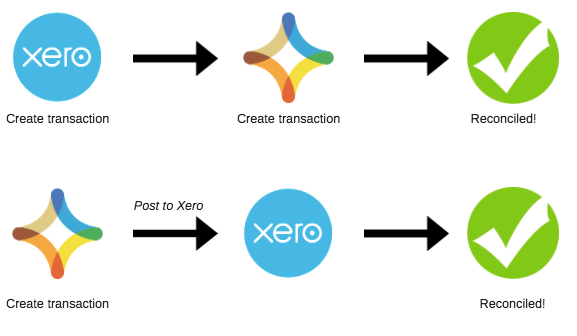 To match stock movements on the farm with the corresponding movements in the bank accounts, each production account needs to have the same financial value in both Figured and Xero. There are two ways to have your trackers accounts reconciling, and we'll step you through both of them. This method is our recommended best practice, as it means your production trackers are always up to date and reconciled! It's also a lot faster, and there's no double handling involved. First, head into your tracker and add an actual purchase or sale. Enter your details as you would any other, ensuring you select Post to Xero (key part! ), and select save transaction when you're done. That's it! Your one-step reconciliation is complete. The invoice for that purchase or sale has now been posted to Xero, and is awaiting payment. NOTE: Figured accounts will be marked as "unreconciled" until a payment has been applied to the invoice in Xero. This method has you first working in Xero, and then coming back into Figured at a later date and reconciling the transaction. Enter your stock sales and purchases as you would any other, and then head over to this help article on how to reconcile actuals already entered into Xero.